Never one to let the dust gather, Kudos designer Derek Gilligan set himself the challenge of pushing the boundaries of the C10 standmount to see how far its design could be taken for maximum performance. 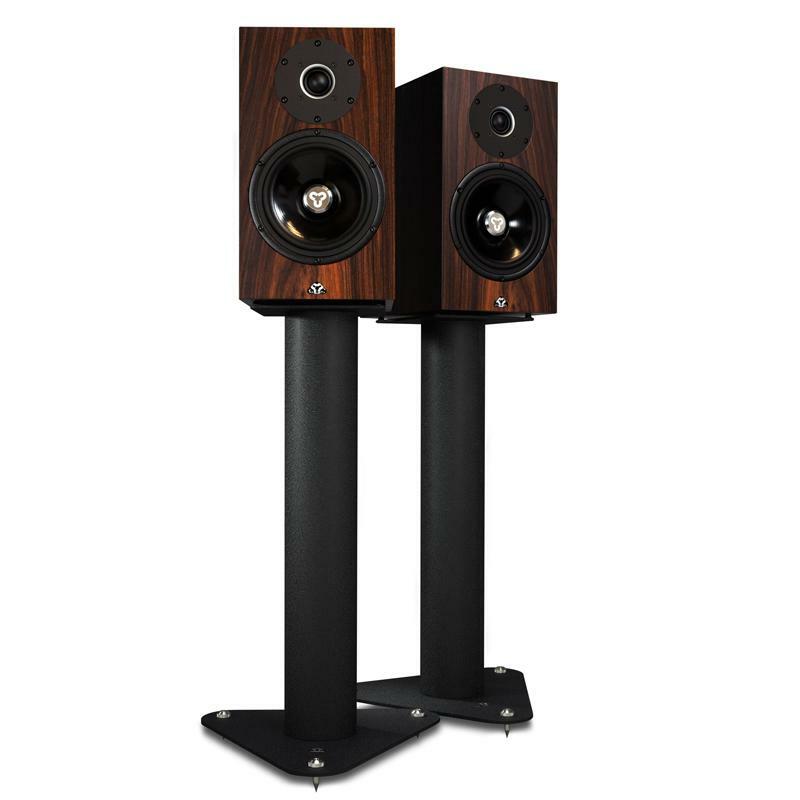 The result is the Super 10, perfect for the audiophile with a small to medium sized listening room who wants an exceptionally high quality music system but can’t house a pair of large floorstanding loudspeakers. The Super 10 takes the C10’s superlative Kudos Crescendo K2 soft dome tweeter and combines it with a newly-developed mid/bass driver and a fully re-engineered crossover. The Super 10’s reflex-ported cabinet is constructed from 18mm high density MDF specifically chosen for its acoustic properties. Internally, the cabinet is optimally damped to minimise resonance and externally, it is handsomely finished in a choice of real wood veneers or a satin white paint. Both drivers are neatly flush-mounted into the cabinet and the grille is held by magnets to maintain a clean appearance.